Jagapathi Babu is back with high style quotient in action entertainer Patel SIR. Excitement of audience about this film was visible in the amazing response for Proof of Concept teaser released grabbing 2.7+ Million YouTube views. 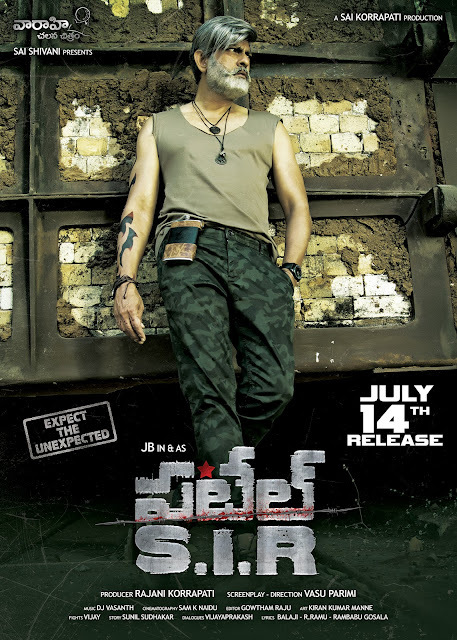 Later producer Sai Korrapati launched Jagapathi Babu's first look poster as PATEL SIR and this one went viral. "Jagapathi Babu is presented in a new look as Patel SIR. He will be seen as a true action hero in this film. Applause from audience for Jagapathi Babu’s stylish look, Proof of Concept teaser and the song teaser released couple of days back is an example of hard work and dedication put in by the team. Patel is filmed on Hollywood standards with surprising action scenes performed by Jagapathi Babu defying the age bar. Director Vasu Parimi's idea of showing Jagapathi Babu in this stylish look will impress our audience. We are announcing the release date for Patel SIR as July 14th. Post production works are also finished and we are looking for a grand release," producer Sai Korrapati said. Jagapathi Babu, Padma Priya, Tanya Hope, Subbaraju, Posani, Raghu Babu, Shubhalekha Sudhakar, Kabir Singh, Prithvi, Baby Dolly and others.